Bound To Danger – A Blast From The Past! It’s not everyday you wake up and know that today may be the day that can change your entire life. It’s not everyday you go about your routine, and know that you may come face to face with a blast from the past. And it’s not everyday you are a witness to an explosion that rocks your entire world and you would end up bound to danger. Maria Cervantes is a community activist and despite being rich, she gives her time and energy towards various causes. At the event of a benefit dinner, she comes up close and personal with terrorists plotting to create mayhem in Miami. Before she can do anything about it, the whole mansion erupts in an explosion and she loses her mother in the devastation along with many prominent personalities and celebrities. In comes Cade O’Reilly, Special Ops, Maria’s line of defense as she battles memory loss and has become a person of interest to NSA. Cade was her dead brother’s former commander years ago in Afghanistan. As the sole witness, Maria’s life along with other prominent people is in danger, as the terrorists are not done with their plan of destruction and want to find out what Maria knows or not knows. And when the betrayal comes from the inside, it is so much more treacherous and menacing. Cade and Maria were friends before they became lovers. Time and circumstances have separated them but not the love they feel for each other. Now that Maria’s life is in danger, Cade would leave no stone unturned to protect the one woman he’s loved with his heart and soul. As they battle their way through the danger layered by the terrorist, Cade and Maria put closure to the questions of their past life and rekindle the sparks of love that never died. 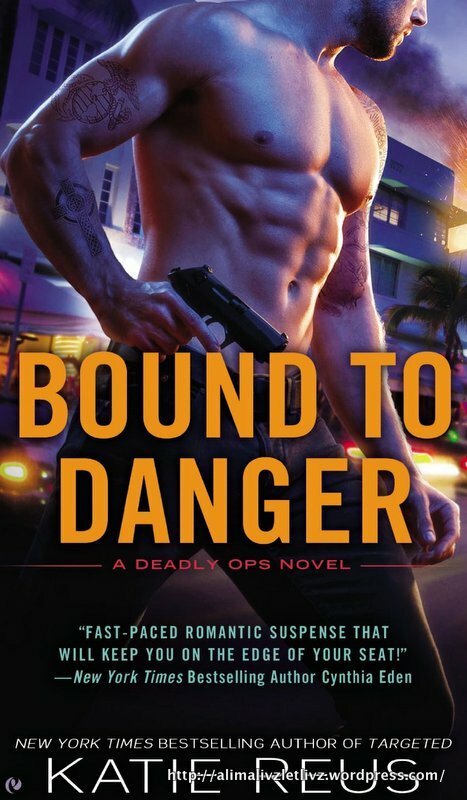 Bound to Danger is the second book in Katie Reus’s Special Ops series after Targeted and it was fabulous to visit Jack Stone. Paranormal or romantic suspense, Katie Rues does a brilliant job of writing captivating and intriguing stories of love, passion and betrayal.